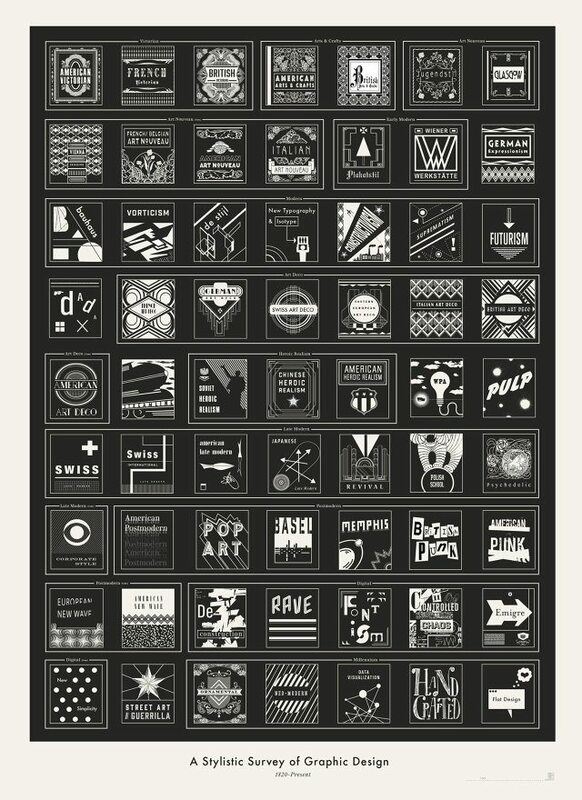 Their latest poster is a tribute to the entire history of graphic design of the latter:The gridded, black-and-white poster is a cheat sheet to the history of graphic design, beginning with the Victorian era. Scan down to the bottom for a sampling of today reigning design philosophies. Are they right? There data visualization, there the twee, chalkboard-loving school of handcrafted, and there flat design. But where’s skeuomorphism? Each box is efficiently packed, providing an at-a-glance answer to any designer who might ask: What, again, were the defining elements of the Late Modern Polish School era? For the rest of us, it’s just nice to look at.